I took this picture in Manali while visiting a Buddhist temple. 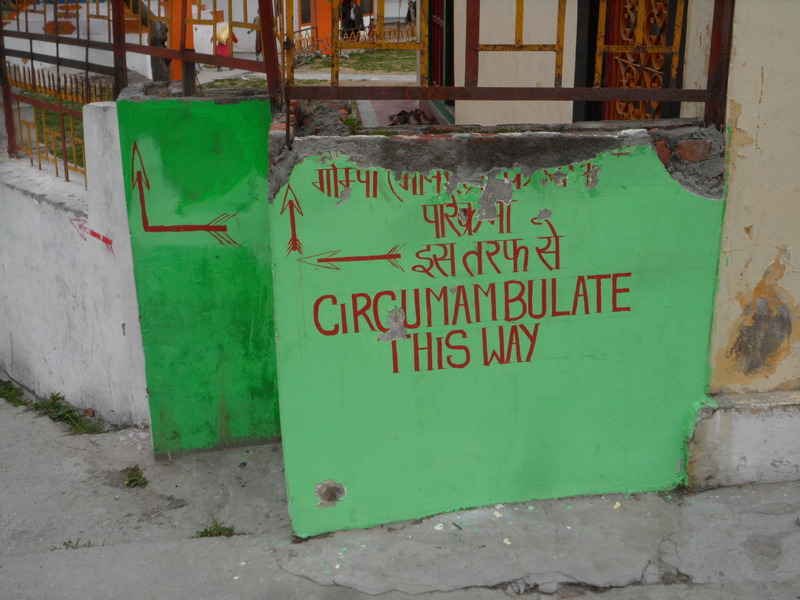 Circumambulate is a bit of a funny word, one we don’t use very often, but refers to making a slow and somewhat meandering circle. People came to the temple and made their slow circle around, including a smaller circle around the prayer wheels. Sophia spoke to me through this funny looking sign. Faith journeys may be frustrating, circular, confusing and sometimes seemingly without purpose. Sometimes it feels like I am right back where I started even though I have spent a long time travelling. But guess what? We are still growing, still moving, still learning and experiencing and going deeper, even when we don’t realize it. Nothing is meaningless or in vain. So, circumambulate, and enjoy the journey.